Earning Rewards… It’s Free! It’s Easy! It’s Valuable! 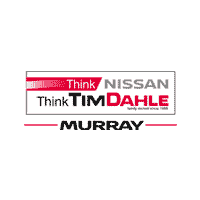 At Tim Dahle Nissan Murray we love to help our customers in Murray, Salt Lake City and West Valley City, Utah save money. While our prices are among the lowest in the area on our entire inventory of new and used Nissan vehicles, we are introducing a new way for you to save even more money. The One to One Rewards Program is our way of not only helping you save more money on sales and service, but of saying thank you for letting us be your Nissan dealer in the Murray, Utah area. What is the One to One Rewards Program? 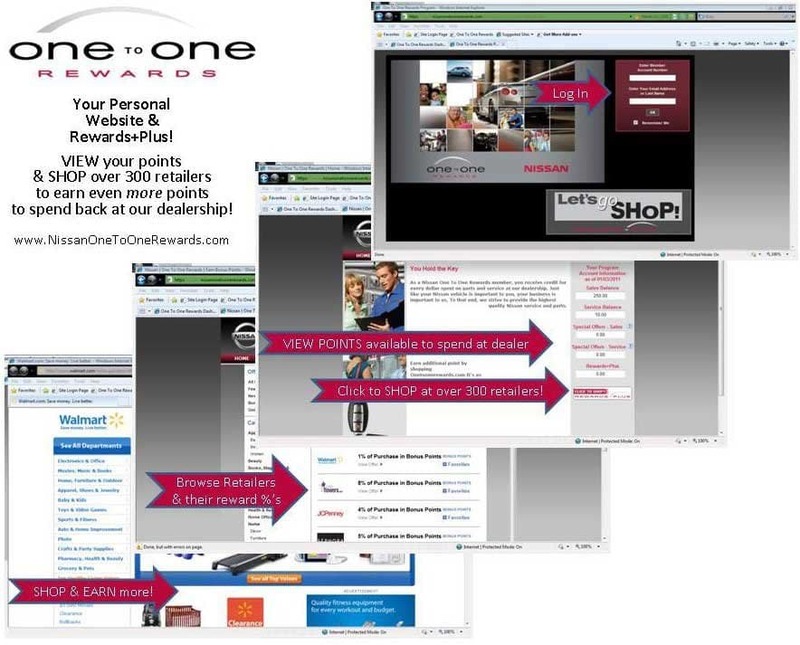 The One to One Rewards program may be the ultimate in customer rewards programs. Our program offers you several ways to earn “service reward points” that can be used to help you save money on service work for your Nissan vehicle and “sales reward points” that can be used to help reduce the cost of your next new Nissan car, truck, crossover, van, or SUV. We also offer “Service + Plus rewards points” these can be used for either service or sales discounts. Everyone in your house can participate in the program no matter whether you live in Murray, Salt Lake City or West Valley City, You get a single One to One Rewards account that everyone uses when shopping. To get you started we will preload your account with a preset number of points. Then every time you shop online at any one of approximately 300 online retailers you will earn more points. The more you spend, the more points you earn. It’s our way of rewarding our best customers…YOU! Earn cash back on your card! In our service department for future visits with customer pay retail parts and labor transaction card comes preloaded with points for your next visit! Earn even more points on your card with Rewards+Plus! Click Shop Now button on your personal Rewards website located on the back of your card to shop. How Does the One to One Rewards Program Work? The One to One Rewards program could not be easier to use. We start you out with a number of both service and sales points. When you shop online at your favorite stores such as Best Buy, Barnes and Noble, Target, and many more, you will earn more points by simply shopping through your personal One to One Rewards website. You can shop from the comfort of your Murray, West Valley City, Salt Lake City, and Midvale, Utah home and have your orders delivered right to your front door. Not only can you earn points by shopping online with the Nissan One to One Rewards program, but also every time you bring your vehicle in for customer pay service work you can earn a percentage of your bill. This percentage will be added to your account for future use. The best part of the Nissan One to One Rewards program is that it costs you absolutely nothing to enroll in or maintain. You simply shop online at hundreds of your favorite retailers and start watching the points add up. Once you have saved enough to use them, you simply trade them in for discounts on your next new vehicle or for any service work your car needs. Nothing could be easier or less complicated, this simple program was designed to help you save money and to let you know how much we appreciate your business. Your points will appear in your account within 30 to 45 days of each purchase and remain there until you are ready to spend them. One Point On Your Card = One Dollar To Spend In Our Dealership! Earn points on your card… Then spend them back at our dealership by using the points towards service work and the purchase of your next vehicle! You can earn points on service work for any cars in your household and everyone can add to your points by shopping Rewards+Plus! Plenty of time to accumulate and spend points before your card expires! You already love us for our incredible low prices and our commitment to providing you with superior customer service both during and after the sale. The Nissan One to One Rewards program is our way of letting our customers in Murray, Salt Lake City, Midvale, West Valley, and the surrounding areas know just how much we appreciate your business. Stop in today, sign up for the program and start watching those savings add up. We want to be the only Nissan dealer near Murray, Utah you will ever need, let us help you get the best possible deal on your next new or certified pre-owned Nissan today and start saving tomorrow. Call us at 801-269-6400 to learn more about our One to One Rewards program.